New Delhi, July 5, 2012: Even as the central Government has publicly revealed that it does not favour carcinogenic chrysotile asbestos (white asbestos) mineral fibers anymore, a consortium of mostly Indian investors have successfully lobbied hard to rejuvenate the asbestos mines in Quebec, Canada. This mineral fiber has pre-dominantly been used in the construction industry before its incurable disease causing nature came to light. Government of India must resist efforts of Canadian government to dump the cancer causing fibers of white asbestos on to present and future generation of Indians. Unmindful of the epidemic of asbestos related diseases, Provincial Government of Quebec's decision to loan $58 million to one of the country's two remaining asbestos mines has outraged environmental, health, labour and human rights organizations. This loan will cover more than two-thirds of the cost of renovating and reopening the Jeffrey asbestos mine in Asbestos town of Quebec. Ignoring the moral responsibility to save fellow human beings in India from exposure to asbestos fibers, Quebec government has chosen to be act like a an impediment t o global cancer control as white asbestos causes lung cancer. Disregarding the concerns of doctors and asbestos victims, this effort will also be funded by private investors, led by Balcorp Ltd., who will add another $25 million. As per figures available, Canada exported 750,000 tons of asbestos in 2006. 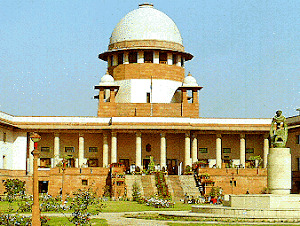 India has been one of the major importers of Canadian asbestos. The Quebec government loan is aimed at reviving one of Canada’s last asbestos mines, assuring exports of carcinogenic fibers for another 20 years. It is noteworthy that use of asbestos is banned in some 58 countries including the European Union, Japan, Australia and others. Due to lack of awareness of its health hazards white asbestos has been used in India but ministry after ministry is waking up its dangers and realize that safe and controlled use of asbestos is impossible as is indicated by the misinformation campaign of the global asbestos industry. ToxicsWatch Alliance (TWA) urges the Quebec government to reconsider its decision and cancel the loan guarantee and help the asbestos disease affected communities in the developing countries. 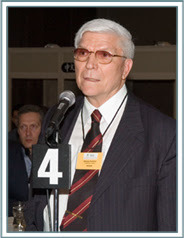 This decision of the Quebec government gives the impression that in Canada ether asbestos industry and the government are one entity or government is subservient to the lust for blind profit at human cost. Government of India took the right step on June 21, 2011 when at a meeting of UN’s Rotterdam Convention on the Prior Informed Consent (PIC) Procedure for Certain Hazardous Chemicals and Pesticides in International Trade disassociated itself from Canada and other asbestos producing countries in order to get white asbestos listed in the PIC list of hazardous materials. The listing requires would-be exporters of asbestos to warn governments of developing nations on what is being brought to their countries. It was unbecoming of Canadian government to block the efforts to list it under the parochial influence of Quebec asbestos interests. Government of India should also set up a compensation fund to provide compensation to the asbestos victims by making asbestos companies liable for knowingly exposing workers, consumers and citizens to asbestos fibers. It may be noted U.S., Dow Chemicals Company has set aside $2.2 billion in compensation fund to address future asbestos-related liabilities arising out of acquisition of Union Carbide Corporation (UCC) and its Indian investments in 1999. If Dow can assume responsibility for asbestos-induced illnesses among victims in USA, why then it should deny responsibility towards the victims of Bhopal and its continuing toxic legacy. UCC formerly made products containing asbestos, and UCC once mined asbestos for sale to customers. The mine of the UCC was sold in 1985. Hundreds of thousands of people have sued asbestos companies that made products containing asbestos. 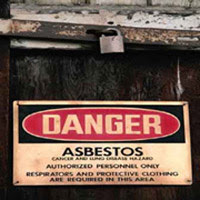 Many manufacturers of asbestos-containing products are bankrupt as a result of asbestos litigation. India has taken a position that it considers white asbestos as a hazardous substance. Mining of asbestos is technically banned in India. Trade in asbestos waste (dust and fibers) is also banned. 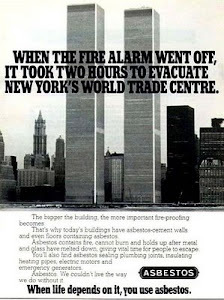 Now government should take the next logical step and phase out asbestos use. Government of India should take immediate steps to ban this killer fiber to save the present and future citizens of the country from incurable lung diseases. After central ministries of environment, labour, mines and chemicals underlined the hazardous nature of asbestos and asbestos based products, ministry of railways has announced phasing out of asbestos based roofing materials from all the railway platforms in India. It is noteworthy that a massive protest against an upcoming white asbestos based plant of Kolkata based Utkal Asbestos Limited (UAL) Industries Ltd at Goraul, Vaishali, Bihar on June 14, 2012 has forced the district administration to order stoppage of construction work till further orders. A tripartite meeting on June 30, 2012 with the asbestos company, villagers and the district officials failed to satisfy the villagers. TWA was present at the meeting. In the face of global, national and local movement against such plants which are referred to as Time Bombs for lungs, the construction of lung cancer causing white asbestos plants in Vaishali, Madhubani, West Champaran and production in Bhojpur districts only shows that Bihar Government has adopted Ostrich policy. Dr Barry Castleman's world's foremost expert on asbestos has sent a letter to Bihar Chief Minister asking to side with the villagers and not with the management of the asbestos factory to prevent public health disaster. Earlier, Kerala State Human Rights Commission made three recommendations banning use of asbestos roofs in its order dated January 31, 2009. The recommendations are: “a) The State Government will replace asbestos roofs of all school buildings under its control with country tiles in a phased manner. b) The Government will take steps to see that the schools run under the private management also replace the asbestos roofs with country tiles by fixing a time frame. c) The Government should see that in future no new school is allowed to commence its functions with asbestos roofs.” Notably, after 2 years of struggle of villagers and all the left and socialist parties in opposition, Bihar State Human Rights Commission announced that the white asbestos plant that was under construction in Chainpur-Bishunpur village, Jakhra Sheikh Panchyat, Marwan block of Muzaffarpur has now been wound up. All State Human Rights Commissions are likely to initiate steps to make their states asbestos free by taking cognisance of the above facts. Not only in Bihar, villagers are protesting against the proposed hazardous asbestos cement roofing factory at Naagaon-Lebidi villages, Sohella Block, Bargarh district, Odisha. The company M/s Viswakarma Roofings Ltd. intends to establish 150,000 tonnes per annum of asbestos cement sheets manufacturing project. In Sambalpur’s Parmanpur village in Odisha too villagers are agitating against the hazardous asbestos based factory of Visaka Asbestos Industries. It is noteworthy that Visaka Industries was promoted as a joint venture between G Vivekanand (a Member of Parliament from Indian National Congress) and the Andhra Pradesh Industrial Development Corporation. Such hazardous plants are being protested against in other States like Himachal Pradesh and Andhra Pradesh as well. Environmental groups in Himachal are against the setting up of lung cancer causing asbestos based plant at Trilokpur Road in Kheri village of Nahan Tehsil in Sirmaur district. They are demanding asbestos free State. A fact finding team visited Ramco Asbestos Industries plant in Maksi, Madhya Pradesh in July 2011 and found that workers were working with Russian asbestos with any protection from the killer fibers of white asbestos. Another similar team visited four asbestos units near Vijayawada in August 2011 to take stock of the situation at the sites of Visakha Industries Limited, Jujjuru village, Veerulapadu Mandal, Krishna district, Hyderabad Industries Ltd, IDA in Kondapalli, Ramco Industries Ltd in Ibrahimpatnam and proposed factory site of Sahyadri Industries Ltd in Narasimharaopalem in Andhra Pradesh. The team found that villagers were never informed about the incurable diseases caused by exposure from asbestos fibers. The team interacted with former workers of asbestos factories. The workers informed that they were made to give written undertaking that the company will not be responsible for their health after they quit the job. Some of the members of the fact finding team like Dr Babu Rao, a Hyderabad based chemical scientist had raised objections at the public hearing of the asbestos plant of Sahyadri Industries Ltd which has been recorded in the official minutes on April 21, 2011. The team met a former worker who was sick from asbestos exposure near Visakha Asbestos plant at Jujjuru but he never got any treatment beyond routine medicines. Unmindful of human cost of such factories there was a public hearing for expansion of Visakha’s plant on June 6, 2012 amidst protest. Unmindful of the epidemic of asbestos related diseases due to past exposure, new factories are coming up in Uttarakhand and Uttar Pradesh (UP). In UP’s Raebarely, the white asbestos based plant of Visaka Industries reveals that business enterprises have misled political parties like Indian National Congress, the central and state government into ignoring ban on it by almost all the developed countries. It is quite disturbing that asbestos cement based building materials are being used in the Union Rural Development Ministry’s Indira Awas Yojna. Central government’s Rs 10, 000 crore worth annual housing flagship scheme endangers the rural poor as it is using carcinogenic asbestos sheets to keep the cost below the ceiling of Rs 45,000 per house under the scheme. TWA salutes the stance of NDP with regard to asbestos trade. Indian political parties like Indian National Congress should learn something from NDP. Government of India should pay heed to the World Health Assembly Resolution which requested WHO to carry out a global campaign for the elimination of asbestos-related diseases. 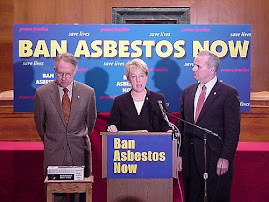 The resolution of ILO in June 2006 stated, “the elimination of the future use of asbestos and the identification and proper management of asbestos currently in place are the most effective means to protect workers from asbestos exposure and to prevent future asbestos-related diseases and deaths." How can such glaring scientific and medical facts be ignored? While it is quite alarming that Baljit Chadha, President, Montreal based Balcorp Ltd secured loan from Quebec government on June, 29, 2012 in the aftermath of the meeting between Prime Minister Manmohan Singh and Stephen Harper on the sidelines of the G-20 summit in Mexico. This appears to reveal the tremendous influence of Chrysotile asbestos cement products manufacturers association in India, global asbestos industry in general and Canadian asbestos industry in particular. In 2011-12, union budget, the Finance Minister had announced that those affected by asbestos related diseases will be covered under Rashtriya Swasthya Bima Yojna. Given the fact that asbestos related diseases are preventable but incurable, this is hardly sufficient. The only way to prevent the deadly diseases is to prevent mining, trade, manufacturing and use of all forms of asbestos and asbestos based products. I’ve been searching all over the web on Asbestos in the Lungs and I am glad that I landed on your page. Thanks for great Article. I think Indian Govt should act on this and take necessary steps.